The potential impact of the breakthroughs the DISCOVERER project is aiming for is paradigm changing, equivalent to the impact the invention of the jet engine had on the aeronautical sector in the 1940s. The proposed development of low drag materials and satellite geometries, along with the development of propulsion that enables sustained continuous flight at much lower altitudes, both open up a whole new flight regime for spacecraft. They therefore hold the promise of radically changing the sector. Few vehicles operate in the altitude range between the highest reconnaissance aircraft at 26 km (highest sustained SR71 flight) and the lowest space platforms at around 450 km, except for relatively short durations or with frequent resupply. Yet, for remote sensing, very low orbits offer considerable advantages over conventional space platforms whilst maintaining global coverage, and without the inherent constraints on aircraft of airspace restrictions and limited range and duration. A cost reduction of the very low Earth orbit (VLEO) systems will also contribute to the deployment of fractionated and distributed systems (constellations, swarms and formations). The use of these systems will also increase the coverage capabilities including larger swath and reduced revisit times. Of those named as participants in DISCOVERER, 72% could be classified as young high potential researchers being under the age of 45 with several decades to exploit the outcomes of the project, and have a high impact on European scientific and industrial leadership before retirement. Of those 50% are industrial with 28% from SMEs, and 50% from academia. Whilst 36% of named participants are female which is around the European average for STEM research innovation, of the young high potential participants this rises to 43%. We will take steps to further improve the gender balance in our recruitment policy. In orbit testing, demonstration and validation plays a key role in the space industry. It facilitates the development and transfer of innovative technology from the laboratory to the market, i.e. from a prototype to an operational, qualified product. A cost reduction in the launch of VLEO systems and the use of appropriate interfaces and dispensers will further enable in-orbit testing, demonstration and validation of new technology. Finally, the development of VLEO platforms has the potential for creating new mission concepts that foster the space applications of the future, and are complementary to Copernicus, the EC flagship programme for monitoring the Earth. Several crisis management initiatives involve satellite imagery analysis. For example, the German Aerospace Center (DLR) created the “Center for Satellite-Based Crisis Information” (ZKI), and the European Commission (EC) in partnership with the European Space Agency (ESA) and the European Environment Agency (EEA) created the GMES/Copernicus system, which includes an emergency management service. VLEO satellite systems will have a major impact on crisis management because they can increase the resolution and the revisit time. 800 million people worldwide are exposed to a lack of food for different reasons: floods, soil moisture, geology and lack of rainfall, among others. These factors make cultivation difficult and increase demand on the existing crops. 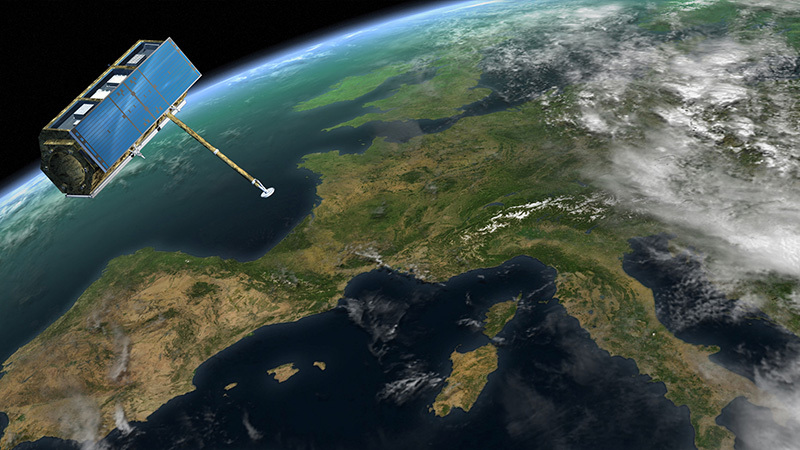 VLEO satellite systems will contribute to the monitoring of crops and soil cultivation. Used in combination with meteorological models and ground-based information, satellite imagery can be used to create food security early warnings and better manage the agriculture and the food supply. This information is used by food security decision makers (the Food and Agriculture Organization of the United Nations and the World Food Programme amongst others) in their effort to reduce the number of people exposed to lack of food – one of the most urgent challenges to humanity. VLEO satellites are highly applicable to intelligence and homeland security. An increase in resolution and revisit time would contribute to the detection, identification and monitoring of strategic infrastructure and areas associated to suspicious activities such as illegal tunnels and airstrips used for goods and human trafficking, smuggling and illegal crops. They would also contribute to the evaluation of the vulnerability and risk assessment of facilities and critical infrastructure such as pipelines to terrorism attacks. Higher resolution facilitates the identification and classification of small boats (between 1 and 8 m length). Intraday revisit time could contribute to monitoring areas that are prone to illegal fishing, illegal spills, illegal immigration, smuggling, accidents and piracy; and to monitor and control borders, fisheries, protected areas, marine pollution, maritime safety, search and rescue and natural disasters.